For the last set of charts we’ll see in 2008, let’s take a look at a few tracks that have had some serious longevity. For example, Jason Mraz holds at #12 this week with “I’m Yours”, currently enjoying its 36th week on the Hot 100. Also at week 36 is Ne-Yo’s “Closer”, which slips from 38 to 42. If you don’t know the chart longevity rules for the Hot 100, the magic number is 50. Any song that is below #50 after 20 weeks on the chart will be dropped completely. Two examples of this formula left the chart this week: Jennifer Hudson’s “Spotlight” falls off the chart in its 22nd week, after having been at #47 last week, and Savage’s “Swing” drops out at week 21, after lingering at #69 one week ago. Toward the bottom of the Hot 100, there are a couple of songs from folks in the Top 10 that they’re probably hoping will keep the two-songs-per-artist trend going: T.I. makes a big move from 99 to 83 with his Justin Timberlake duet “Dead and Gone”, Lady GaGa gets her second chart entry at #92 with “Poker Face”, and Beyonce charts single #3 from “I Am…” with Diva, coming in at 96. The top debut of the week, though, goes to Leona Lewis with her former UK #1 single “Run”, which arrives at #81 with almost zero airplay. Considering that the song debuted at #13 in Canada as well, I think it’s safe to say it’s going to be a big ol’ hit. You know there’s gotta be a Deluxe Edition of the CD that’s coming, too. Maybe it’ll have a few of the UK tracks that weren’t included on the original US version. That’s a lotta double-dipping, ain’t it? Switching to airplay, Britney Spears picks up her first #1 pop record since “Toxic” with “Womanizer”, but it looks to be a short stay, as “Live Your Life” is trending to retake the top spot next week. In the “eat my words” department, Ms GaGa may have the first new #1 of the New Year, as “Just Dance” creeps up to #3, and will probably be the top bulleted single next week. The two hottest records at Pop radio this week are (shock) Britney Spears’ “Circus” at 20 and Beyonce’s “Single Ladies” at 11. Both records pick up over 1000 more plays this week. The Killers make it into the Top 40 at #40 with “Human”, and in the “I can’t wait til next week” department, it looks like John Legend’s “Green Light” will FINALLY show itself on the Pop chart in 2009. Over on the Billboard 200, Taylor Swift reaches 113 weeks with her self-titled debut, while her follow-up, “Fearless”, holds at the top of the chart with 330,000 units. For those of you who have been around the charts for a while, that is a depressingly low count for a CD to sell the week before Christmas. It barely holds off the debut of Keyshia Cole’s “A Different Me”, which debuts at #2 with 322,000 units sold. Other debuts this week included Jamie Foxx at 3, Anthony Hamilton at #12, Plies at 14, All-American Rejects at 15, Soulja Boy Tellem at a sophomore-slumpish #43 (awwwwww), and Dave Matthews Band at #97. –	Folks, despite the burnout that we all may be experiencing out here in the blogosphere over Ms GaGa, “Just Dance” FINALLY secures hit status. It is #1 most added at Pop Radio this week, among the most increased played tracks of the week, and is the top debut on the Pop chart at #34. While the odds of this record going #1 are slim, since some stations have been on the record for a while, I would guess this one’s going Top 10 at the minimum. On the Hot 100, the track takes a big jump from 49 to 27. 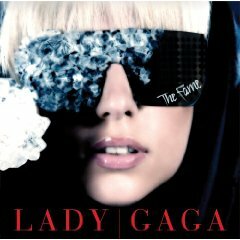 The full-length “The Fame” arrives in the U.S. at #17, with 24,000 units. That’s actually a pretty decent debut for a brand-new artist without a fully established hit. –	Speaking of the album chart, AC/DC remain at #1 with “Black Ice”, P!nk scores her highest debut yet with “Funhouse” at #2 (although she sold more her opening week of “Missundaztood”). At first, it looked like it might be a lower debut, as iTunes never showed the album higher than #4, but her sales were split between a standard release and a Deluxe Edition. Other notables include John Legend at #4, Snow Patrol at #9, the Cure at #16, and Bloc Party at #18. Country music gets back-to-back debuts at #5 and 6 with Toby Keith and Rascal Flatts. –	T.I. once again has the #1 single on the Hot 100, but we’re back to “Live Your Life” with Rihanna. This is getting as annoying as trying to get through a revolving door that a couple of bratty kids keep going around and around and around. “Whatever You Like” is at 2, “So What” moves back up to 3, “Hot N Cold” inches up to 4, and Beyonce drops to #5 with “If I Were A Boy”. –	Ms Knowles’s “Single Ladies” continues to push through the chart, up another 12 spots to #44. Other notable moves on the Hot 100 include John Legend’s “Green Light” finally shifting into drive and moving 47 – 31, and Brandy makes a move for relevance, as “Right Here (Departed)” moves 63 – 53. Her “Human” CD has been pushed back to December, but it looks like she might actually have a hit single to help promote it. I still don’t get the appeal of Jazmine Sullivan, but her second release “Bust Your Windows” also climbs 10 spots to #48. 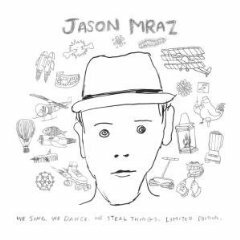 – In an attempt to capitalize on the surging popularity of Jason Mraz’s International hit “I’m Yours”, a Expanded Edition of “We Sing, We Dance, We Steal Things” is being released on November 18th. 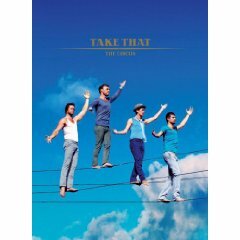 Besides the original disc, there will be a second audio disc that contains the songs from the three EPs released prior to “We Sing”. Disc three includes a concert recorded at the Highline Ballroom this year, a documentary, and a preview of Jason’s photo book “A Thousand Things”. You can pre-order the set from Amazon.com. 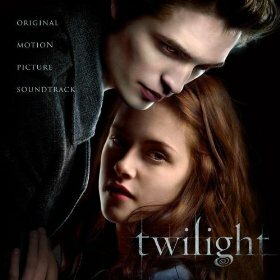 – Speaking of Amazon, today’s MP3 Deal of the Day is the newly-released soundtrack to the movie “Twilight”. The disc features tracks from Paramore, Linkin Park, Muse, and Collective Soul, among others. Does $3.99 sound like a deal to you? Then head on over and pick it up! And while you’re over there, check out some of the free tracks they’ve got available, including the brand-new track from Travis entitled “J. Smith“. (Their new full-length “Ode to J. Smith” is out today) You’ll also find free tracks from the likes of the Weepies, Liam Finn, and PMN favorite Toby Lightman. – Other new releases this week include Hinder, Brad Paisley, Sarah Brightman, Andrea Boccelli, Q-Tip, the domestic release of The Script (on both Amazon and iTunes for $7.99), and well beyond 15 minutes Eamon (it’s even on a major label…go figure!). – One last note…it’s almost impossible to ignore, but today is the most important election of my lifetime here in teh U.S. of A. We have a chance to really make a difference, not only in our own cities and states, but in the world as we know it. At this point, the result is out of our hands, but here’s hoping a lot of positive energy and prayers and wishes go a long way. I don’t normally go for the hokey anthem, but I truly love the John Legend track “If You’re Out There”, written for a day like today. The whole CD is outstanding, but this is truly a high point. 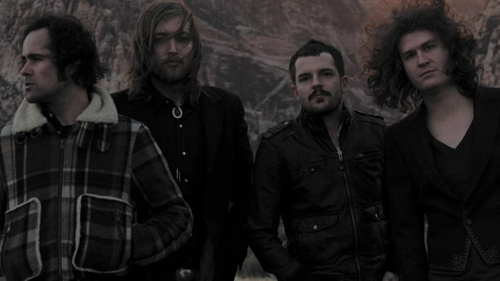 – The Killers have announced a full-fledged tour for 2009, starting right here in Denver on January 17th. From the list of dates, it looks like they are playing some mid-sized venues. I suppose when you’re trying to gauge the support for a tour before a new album is released, you have to hedge your bets a bit (Kelly Clarkson’s ill-fated first attempt at a tour supporting “My October” comes to mind). There are only 14 dates scheduled at the moment, but here’s hoping that they’ll have the support built in to add more dates and increase the size of venues that they can visit. – Condolences go out to Jennifer Hudson, who has already lost her mother and brother, on the apparent murder of her nephew Julian. Details continue to trickle out of Chicago, but the current speculation is that the prime suspect is William Balfour, who is the ex of Julian’s mom, Julia. Julia is also Jennifer’s sister. Here’s to a quick resolution of what has to be a painful situation that I can’t even begin to imagine. – I think it’s safe to say that the holiday music season has kicked off, with some powerhouse releases coming out tomorrow. Besides P!nk, keep an eye out for new discs from John Legend (which I feel like I’ve heard from all of the “singles” that have been released), Ryan Adams, Snow Patrol, Toby Keith, Rascal Flatts (Greatest Hits), The Cure, Kaiser Chiefs, Bloc Party, the Quantum of Solace soundtrack, and (finally) the U.S. version of Lady GaGa’s “The Fame”. You U.K. pop fans should also be trembling in anticipation over the release of The Saturdays’ debut release “Chasing Lights”. (I feel like I’m being chased by “Chasing” these days!) 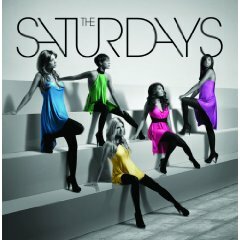 I am listening to the Saturdays as I type this, and I am just blown away. Review to come, but wow. Talk about exceeding expectations! – New releases this week include full-lengths on TI, Jennifer Hudson, Robin Thicke, James Taylor, James Morrison, Faith Hill (Christmas), and Kellie Pickler (for you trashy AI fans). You’ll get reviews shortly on several of those titles. 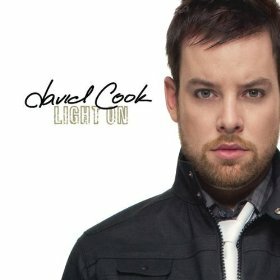 It’s also a singles bonanza this week, including new tunes from the Killers, Nickleback, John Legend, Ciara, and David Cook, whose “Light On” is a decent start for his new CD that’s dropping in November. In a world where “Human” exists, though, everything else is just sounding mediocre at best. – Looking at Pop Radio, Rihanna is number one on airplay with “Disturbia”, while Ne-Yo’s “Closer” is number one in total audience, and Katy Perry picks up most increased airplay for “Hot N Cold”. Speaking of Rihanna, “Rehab” is officially the 72nd single off of “Good Girl Gone Bad”. Other songs going to pop radio this week include (finally) Jennifer Hudson’s “Spotlight”, and the brilliant “Love Lockdown” from Kanye West. 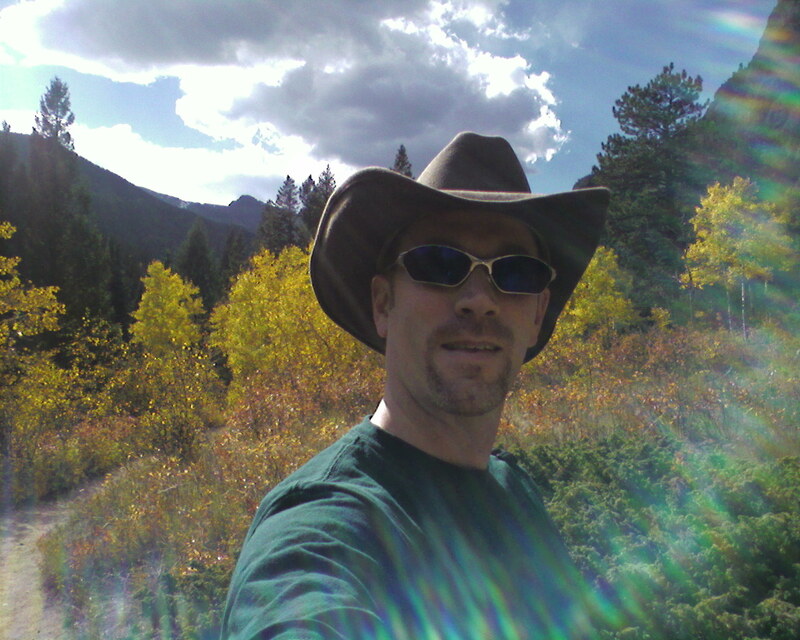 – Thanks to everyone for all of the well wishes as I’ve moved to Colorado. I am grateful for all of the support as I get settled and attempt to find a job. In the meantime, I’m making sure I enjoy the beautiful weather while it lasts. Remember when R&B didn’t have to have “hip-hop” in front of it to be a hit? Remember when R&B was something you could dance to instead of “groove” to? Remember when R&B was fun? Me too. And it’s back, y’all. There is a palpable sea change going on in R&B, and it’s long overdue. R&B really got stagnant for a while, where it was the exception rather than the rule to cross over. It has gone from providing a compliment to the hottest rap tracks, to creating beats and melodies that will be sampled by rappers 20 years from now to acknowledge the classics that they are. While we listen, it is evolving at a fast and furious pace, catching a moment in time where people are hungry for something new. Those folks who aren’t stuck in tradition are heeding that demand, and the public seems to be eating it up. -Case in point…Ne-Yo. You’ll get that feature article I promised soon enough, but this was pressing in my mind. Ne-Yo is single-handedly helping R&B get its groove back. And he’s not only doing it on his own records. Sure, “Closer” is a modern classic, and “Miss Independent” is already racing up the R&B chart, but take a look at last week’s #10 record from Jennifer Hudson, “Spotlight”. Who wrote that? Ne-Yo. Not so long ago, an anthem like that was either hip-hop inflected (like a Mary J. joint with Missy on the backup), or it was a quiet storm standard. Instead, Ne-Yo infuses the track with a more upbeat, melodic approach that helps it stand up to Hudson’s brilliant delivery, while still staying away from club banger territory. On top of that, it also lends itself perfectly to remixes (check the Moto Blanco Club Mix if you have any questions). 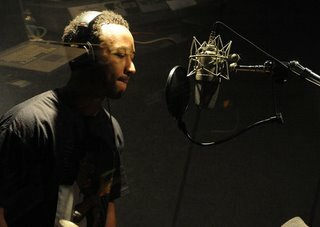 -Out of all of the examples I can provide, none is as surprising as John Legend’s “Green Light” with Andre 3000. This track comes out of nowhere on some jangling synth riffs, an epileptic beat in the 140 BPM range, and a guest rap that actually belongs on the track, rather than one that is pasted in well after the track is deemed finished. I don’t know if this is John’s true direction, or if some of Kanye’s diverse influence is rubbing off, but it’s definitely hot.